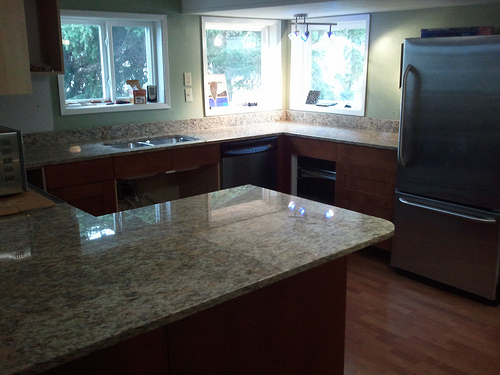 One of the all time favorite home improvement projects is the kitchen fix-up and when time or budget requires us to be selective in our approach nothing gives better bang for the buck than does a new kitchen countertop. 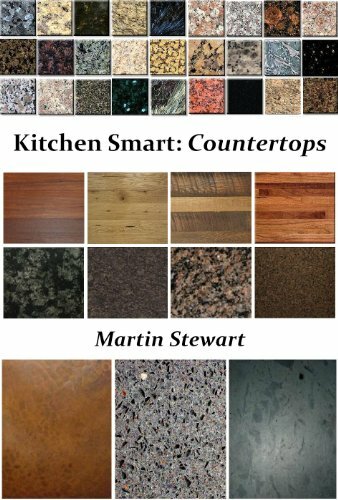 This review will look at types of kitchen countertops, kitchen countertop materials and countertop choices, with special emphasis on some unique countertops. Kitchen countertops come in a dazzling range of materials. A very popular option is the granite countertop? 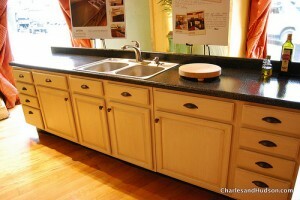 The old classic is the formica countertop? Some people today though are choosing less traditional options, like concrete countertops or even stainless steel countertops. And of course color is yet a further consideration. Let’s look at some of these options. 1. When it comes to materials, granite is a classic. Among its many advantages is that it doesn’t chip easily; it is heat and stain-resistant; requires much less maintenance than other natural stone materials; and its aesthetic appeal is excellent and timeless. You should bear in mind, though, if you do unfortunately damage a granite countertop, it’s very difficult to repair. More on the down side, it is certainly an expensive option. And it does have to be sealed once a year to avoid the absorption of stains and odors. 2. The solid-surface countertop is a reliable old standby. These countertops are made from plastic material. This allows them to be custom-made to the required length, so the problem of seams is avoided. A big advantage to these countertops is the ease of maintenance: the color goes all the way through the countertop, so scratches and stains can simply be sandpapered out with a little gentle smoothing. Another great benefit is the wide range of colors offered by this option. This is certainly the way to go if you’re looking for unique countertops in terms of color. 3. Stainless steel provides unique countertops, though it might seem a little severe for the family home, but they certainly are the choice of the serious chef. Non-porous, they are extremely hygienic, easy to clean and don’t absorb odors, stains or germs. Nor are they damaged by those hot pots just off the stove. On the downside, they show fingerprints easily, they are expensive and I did mention the rather severe look? Unless you’re going for a very particular kitchen decor, this latter disadvantage may outweigh the many advantages. 4. 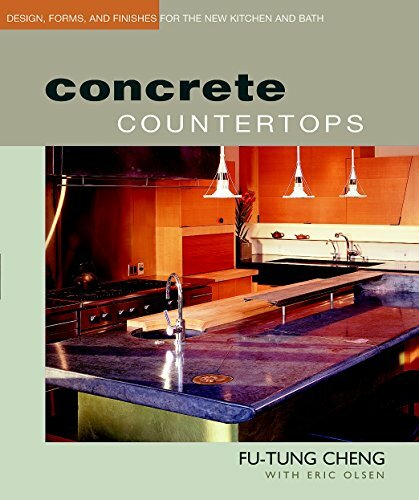 The new kid on the block in countertop surfacing is concrete, another choice for unique countertops. Initially, the idea of making your countertop the same material as your garage floor may not seem appetising, but don’t rush to judgment, consider the benefits: it’s very durable, highly resistant to damage and is non-porous once it’s been sealed. And better still, it won’t have oil stains all over it! Concrete countertops can be made in just about any color you’d like with a wide range of finishes. From industrial grey to polished, jet-black and a host of others, too. On the disadvantage side, this is another expensive option, as your countertops will have to be custom-made. They also have to be sealed regularly. 5. A certain exotic look may be created with the use of ceramic tile countertops. Memories of that trip to Mexico, perhaps. There is a great range of color options, and arranging them provides you the opportunity for your artistic expression. Tiles are heat-resistant, low-maintenance and a great DIY project. Keep in mind though that the grout and sealant must be reapplied annually and the tiles can be chipped or scratched. Also, spills can stain the grout. sturdy and offer a great range of colors to choose from. They do, though, have visible seams, which aren’t always so attractive and damage is almost impossible to repair because the color is on the very uppermost layer only. Remember, too, laminate countertops are not resistant to heat; inattention to the placement of hot pots and pans is a quick way to get the kind of damage that can ruin your countertop. There are few pointers to keep in mind when considering types of kitchen countertop when you’re looking for a change. One of the most fun parts of choosing new countertops is the color options. However, if you see resale of the house in the not too distant future, remember not everyone may share your unique sense of artistic flair. A low-key choice might be advised in that case. Unusual colors or boisterous ceramic tile mosaics should be the focal point of your kitchen so keep other furnishings neutral. 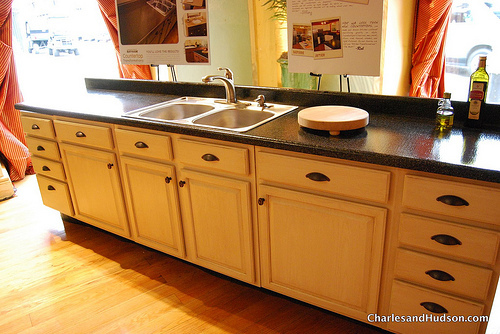 Also, remember to be sure that your countertop choice blends well with your cabinets and flooring. 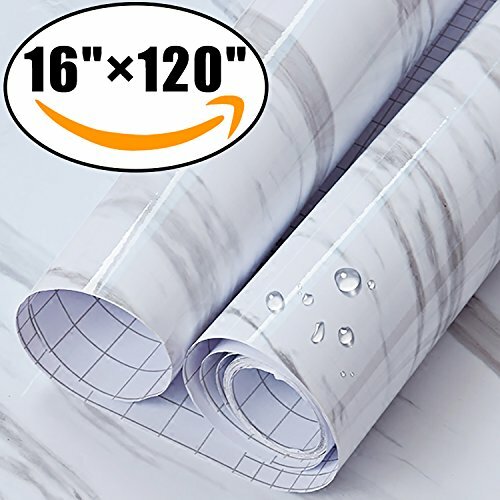 Hope you enjoyed this review of some of the types of kitchen countertop available for those of you looking to make some lively changes in the heart of your home. 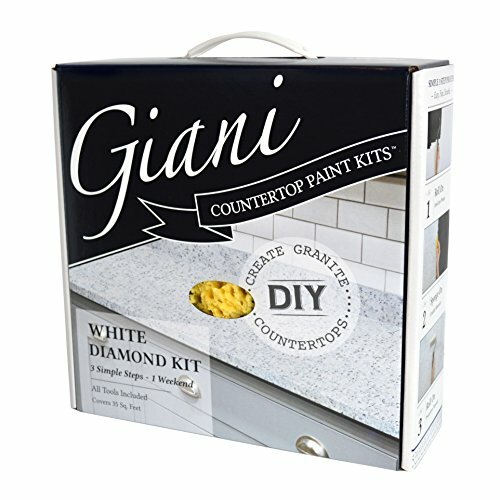 If you are on a very tight budget and want to get the same “look” of a more expensive finish, have a look at the kits below that make things quick and easy and give your kitchen counter tops the dazzling new look.